The Athena device clip weighs 1 ounce and emits an 85-decibel alarm when a button is pushed. In less than 48 hours, a Philadelphia startup with a social-justice mission has raised more than $40,000 to fund the creation of “smart jewelry” that helps protect women. 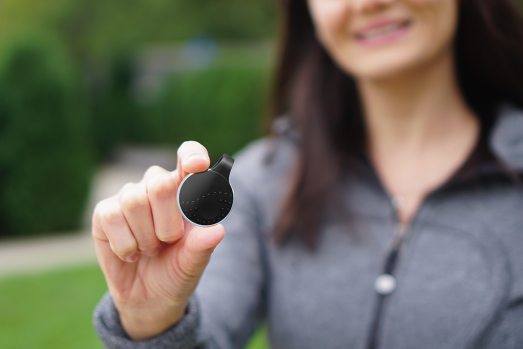 ROAR for Good kicked off an Indiegogo campaign to raise funds for personal-safety device Athena two days ago, and it has already reached its fundraising goal with contributions from more than 350 people. “The most rewarding piece of it is not necessarily the number of dollars but the number of people," said Anthony Gold, 50, who co-founded the company last year with Temple grad Yasmine Mustafa, 33. There’s no reason for the campaign to stop here, though. Ten percent of funds raised will still go to the anti-violence foundation One Love, and for $100, donors can buy one Athena device for themselves and one for a survivor of domestic violence. “Every dollar we bring in, a piece of it is going to One Love, so we really want to keep pushing this campaign because we can do so much good with this," said Gold. Athena, which weighs 1 ounce and can be clipped to a bag or belt, works by emitting an 85-decibel alarm if the user pushes a button down for three seconds. It then texts the user’s loved ones with his or her location, and the company is in the process of engineering a way for the device to call 911 as well. There’s also a silent mode, activated by tapping the button three times. Gold suggested that the silent mode could be used if a student is being harassed at a party and needs a subtle way to escape, or if someone fears domestic violence but can’t be seen calling for help. "(If) someone is not taking 'no' for an answer...you can get immediate help," said Gold. What makes Athena stand out from other personal-safety apps and inventions is that it’s made by “a for-profit company with a mission.” That mission: Make devices like Athena obsolete. “We really want to get to the root causes of violence against women,” said Gold. The device can be used by anyone, of course, but headlines like "1 in 4 women experience sexual assault on campus" make women's safety the company's foremost concern. So, ROAR invests its proceeds in organizations that teach young people about “empathy, respect (and) healthy relationships." One Love, for example, educates people on the warning signs of domestic abuse. The company also wants to get “more male allies to step up,” which is why Gold was delighted when a group of male students in Temple’s entrepreneurship program teamed up with ROAR to promote Athena. Mustafa got the idea for Athena after reading about a Philadelphia woman who was attacked on the street. Nevertheless, the company acknowledges that most sexual assaults are not perpetrated by strangers jumping out of the bushes, but by people the survivor knows and perhaps even loves. “Clearly, education is a big, big piece. … There's no device that's going to solve all the problems,” said Gold. Nevertheless, the company hopes that its device will help women live without fear. You can reserve your Athena device by donating to the Indiegogo page here. The devices will be ready to ship in the spring.